Digitally remastered Ealing Prints have been released click here for more details. In the old days before local cinemas were converted into bingo halls, back when they still played films, many people enjoyed a type of film comedy and drama that has since collectively become known as "Ealing". Ealing, the company, originated in 1938 during the early sound era. Under the stewardship of Michael Balcon they produced many fine films which deserve to be better known. Physically the studios were (and still are) at Ealing Green in West London. 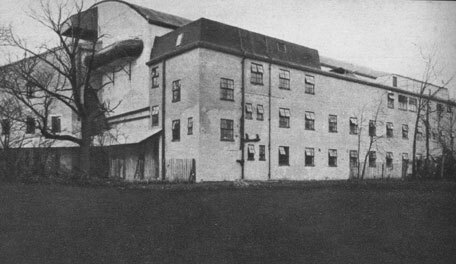 In 1929 London theatre producer Basil Dean formed Associated Radio Pictures and raised finance to build the Ealing Studios which were completed in 1931. The site was only yards away from the early Will Barker Studios which opened in 1896. 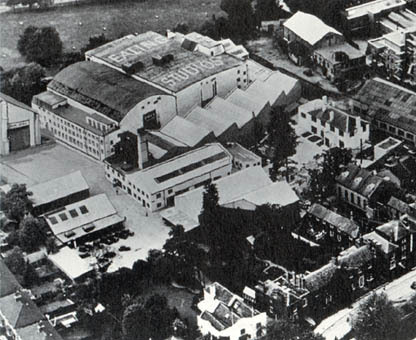 The studios were the first purpose built sound stage in Britain. While in charge of production at Ealing Dean built up the careers of Gracie Fields and George Formby, both champions of working class comedy. Many up and coming stars worked at the studios during the 30s including Margaret Lockwood, and Madeleine Carroll, also directors such as Carol Reed began learning their craft there. In 1933 the company became Associated Talking Pictures and a second sound stage was completed. ATP made films at the studios and rented out the space to other companies. So that in 1933 Gloria Swanson made Perfect Understanding there with Laurence Olivier. All together about 60 pictures were made there over the seven years from 1931-1938. In 1938 Dean left ATP after disagreements with his fellow directors and returned to theatre production. Michael Balcon former head of production at Gainsborough and Gaumont British was recommended as a replacement, he had recently been working for the British arm of MGM and although the three films he produced were successes he had hated every minute. 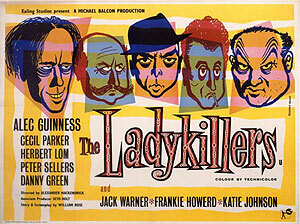 He left MGM and started an independent production, with no studio of his own he rented the ATP studios at Ealing. One of the directors at Ealing, Reginald Baker asked him to take charge of production and his film The Gaunt Stranger (1938) became the first Ealing Studios production. The ATP name was phased out at the same time. Several key personnel came to Ealing from Gaumont British including Sidney Gilliat and Robert Stevenson. In 1944 a deal was forged with Rank whereby Rank provided financial backing and distribution but Balcon still had a free hand in production this deal lasted until 1955 when the studios were sold to the BBC. However, Balcon made a deal with MGM and for two more years produced Ealing films at the MGM studios in Borehamwood. The atmosphere at Ealing was warm and many people remarked upon it's familial feel. The studio produced on average five or six features per year, with craftsmanship and quality being the major production goals. There were regular brainstorming sessions and constructive criticism was accepted from everyone from Balcon down to the tea boy. In 1938 Balcon was already aware that war was inevitable and in 1939 began to think of ways to make film work for the national interest. Many Ealing films typify 'middle England' both throughout the war and after it. With the onset of war Balcon decided to change the format of the films produced by Ealing and from this period onwards the majority were made from original screenplays rather than books or plays. Personnel however didn't change drastically, in fact many actors appeared again and again in Ealing films, in larger or smaller roles which perhaps partly accounts for the family feeling that pervaded the studios. Technical staff were fairly constant with some small interchange between directing, writing and editing. However there were few women employed behind the scenes, and in fact, very few films of special interest to women made. An already forming realist slant to film-making was strengthened when Cavalcanti joined the company in 1942, in fact Ealing had been making documentaries and Ministry of Information films since 1940. The types of films made at Ealing during the war are naturally dominated by war films, Balcon felt an obligation to make the film industry work for the national good. So in films such as The Big Blockade, San Demetrio, London and For Those in Peril, the effort and example of the forces and civilians alike are presented to boost morale. At the same time films of a more entertaining nature were produced but which still managed to take swipes at the enemy - The Ghost of St Michael's, Fiddlers Three. From the beginning of 1945 when the end of the war was in sight the main objective of the British Film Industry was to get back into the global marketplace and from Dead of Night onwards there is a widening of themes portrayed. Paramount in Balcon's mind was the need to portray "a projection of the true Briton to the rest of the world" (Balcon, 1945), not only to foreign markets but also to a war weary public at home who had won the war but were still in the grip of rationing and austerity. The message was simple - the public may not be benefiting materially from victory, but morally and spiritually they could not be beaten. They were allowed and always had been allowed their eccentricities, their rights to free speech etc etc which the Germans had tried to take away, and Balcon's films - especially the comedies emphasized this and implied that this was what made Britain great. Balcon and others in the industry were also aware that cinema audiences were much more sophisticated than in the 1930s, they no longer wanted to be presented with a set of ideas or ideals which they should aspire to. Instead they needed films that provoked thought and discussion, that questioned the staus quo. For example Passport to Pimlico and Dance Hall. Post-war films generally tended to be less class conscious, less middle class, they presented ordinary people getting on with their lives rather than moneyed professionals with large cars and larger wardrobes. Alongside the more realist film school was the escapist film - usually a costume piece, to which audiences flocked despite the critics dismissing them as inconsequential. The public wanted to escape the mundane everyday life of post-war Britain, where the queues were as long as in 1943, there were fuel shortages in winter and the Empire was quickly disintegrating. Ealing made it's fair shair of costume dramas starting with Pink String and Sealing Wax, then Nicholas Nickleby and The Loves of Joanna Godden. It's final costume drama Saraband for Dead Lovers was also it's first Technicolor film but was a box-office disaster. In 1947 The Cinema notes Balcon's special attention towards film music. "John Ireland turned to film music-writing for the first time when he composed the score for The Overlanders. Georges Auric has written music for Hue and Cry, Lord Berners the music for Nicholas Nickleby and Vaughan Williams for The Loves of Joanna Godden. It Always Rains on Sunday and Frieda are in the top 10 favourite films of 1947 as voted in the Daily Mail Film Awards. As are actresses Mai Zetterling and Googie Withers and actors David Farrar and John McCallum. 1947 also saw the first of the now classic Ealing comedies - Hue and Cry. In the Picture Show Annual of 1952 Edith Mepean their long-standing reporter on the British Studios said "The Ealing Studios appear to have decided on a policy of human and unusual films, many dealing with the fascinating theme of London life..... Ealing Studios have no contract stars yet they have discovered and made many stars". She also emphasized the importance of editing at Ealing. Many editors and directors interchanged between the two disciplines. In 1955 the BBC bought the studios and Balcon cut a deal with MGM to continue making Ealing films at their studios in Borehamwood..